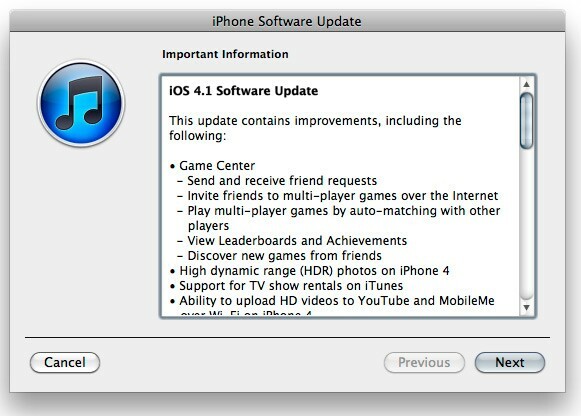 Apple announced iOS 4.1 which fixes many of the issues that were causing major issues, fixing the issues with the proximity sensor, Bluetooth and the iPhone 3G performance along with completely new features such as HDR camera mode. Also HD video uploads over WiFi, Game Center and TV show rentals. Look for the update to hit iTunes sometime next week as a free download for your iPhone or iPod touch. If for some strange reason you updated to 4.0.2 when Apple released it to patch the PDF exploit that was used for the JailbreakMe jailbreak and your running a iPhone 3G or iPod Touch 2G (Non MC Model) then you can still jailbreak your new protected iOS. The current version of the jailbreak tool redsn0w will still work on both the iPhone 3G and iPod Touch 2G as long as it’s a Non-MC model. Just point redsn0w to the 4.0 firmware to ‘trick’ it then you’ll be away with your new jailbreak. 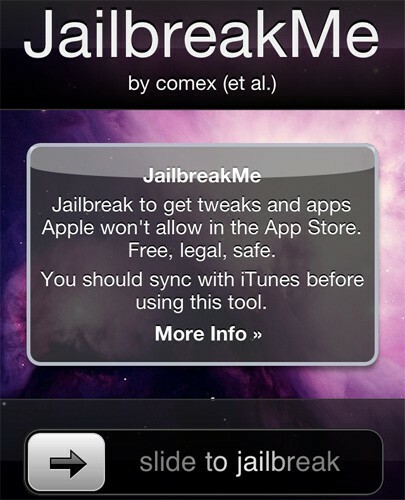 Back in the 1.x days JailbreakMe.com was the simplest way to jailbreak your device. And now comex and Dev-Team have released the latest userland jailbreak which exploits a PDF flaw in MobileSafari. This means you can jailbreak any iOS device, including the iPhone4 on the 4.x firmware. Because the exploit that was used it public I’m sure it won’t be too long until Apple fix the flaw and then a new exploit will have to be used. As always remember to backup your SHSH files so that you can restore to your current firmware and keep on using JailbreakMe.com in the future. To jailbreak just open up the site JailbreakMe.com and then slide to jailbreak and then just wait. It’s that simple!